What a way to secure a seat for oneself in crowded train of SMRT! 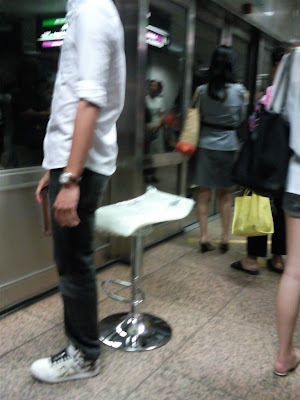 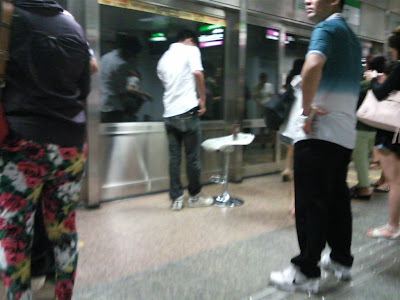 Saw this chap brought n a white bar stool at Chinatown MRT toward Pasir Ris during peak hour. 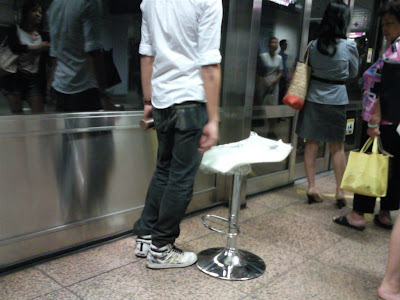 Time to be innovative and in future bring my own field chair for my weak old legs , aching whenever can't find a seat on board the train. And in addition to that, air-con of many of the trains are not strong or they want to conserve electricity.